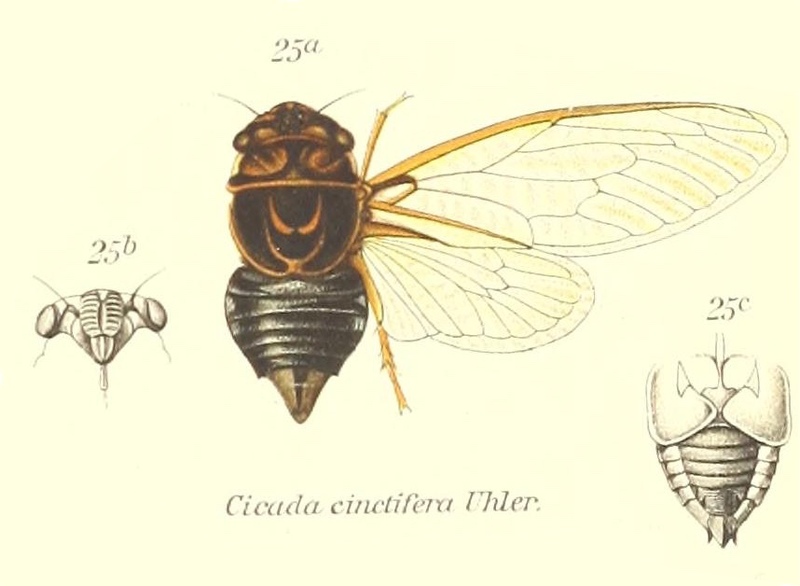 Pacarina puella Davis, 1923 is a small cicada. 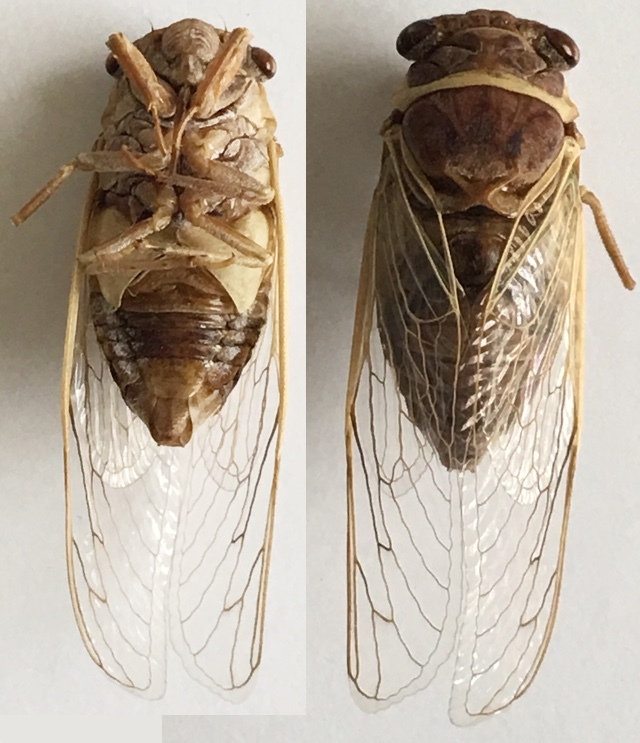 About 2 centimeters, according to BugGuide.You can find this cicada in the several southern (United) States, Mexico, and Central America. 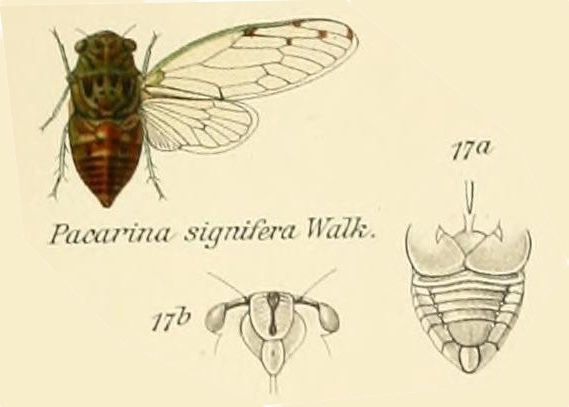 It is commonly known as the Little Mesquite Cicada. 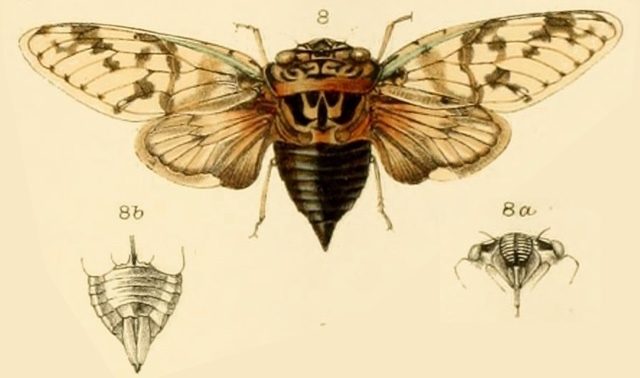 Listen to its song on this page. 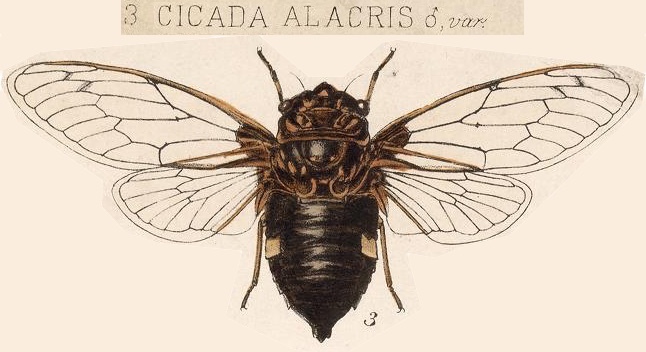 The image says Pacarina signifera but the newest name of this cicada is Pacarina puella. Characters. 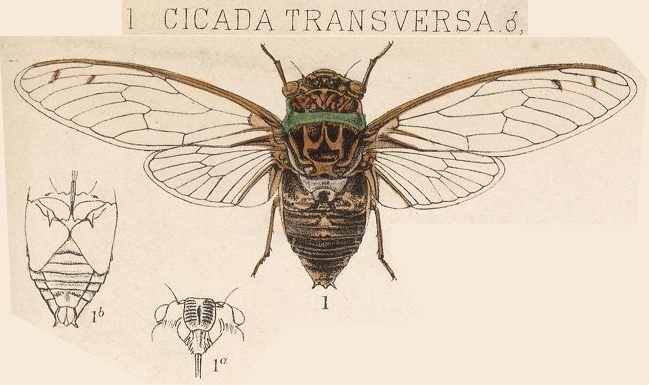 — Head (including eyes) broader than base of mesonotum ; eyes projecting beyond anterior angles of pronotum ; vertex at area of ocelli much longer than front ; pronotum with the posterior angles moderately lobately produced, its lateral margins oblique, slightly sinuate, its length shorter than that of mesonotum ; abdomen about as long as space between apex of head and base of cruciform elevation; tympanal coverings distinct but inwardly concavely narrowed and exposing the tympanal cavities; face convex, a little broader than the space between it and eyes; opercula about reaching base of abdomen, their lateral margins oblique, their posterior margins a little rounded; anterior femora armed with two strong spines beneath; rostrum about reaching the posterior coxae; tegmina and wings hyaline; apical areas eight. 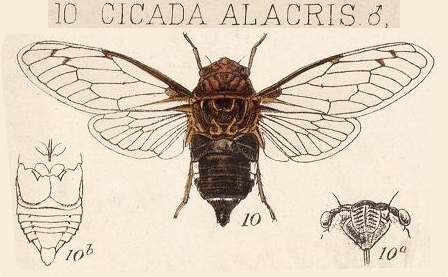 Comments Off on How do you pronounce Cicada?